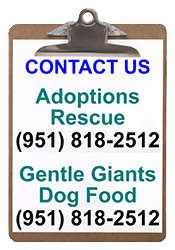 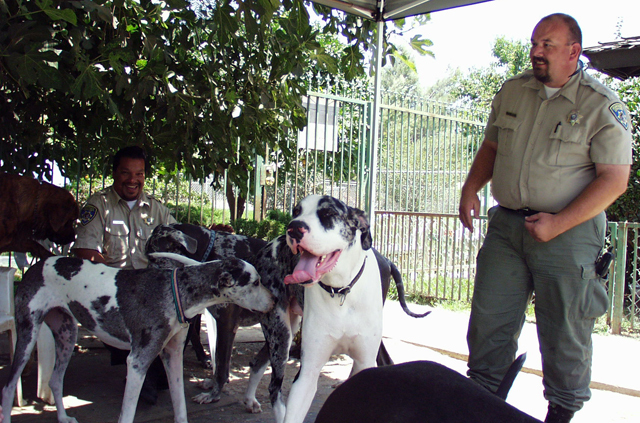 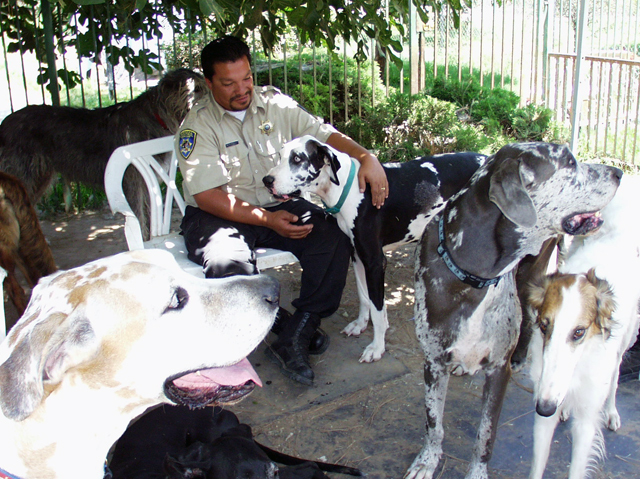 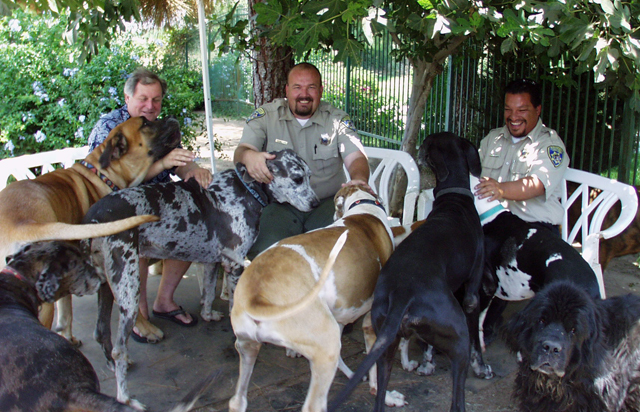 Every one of our Gentle Giants is friendly and affectionate! 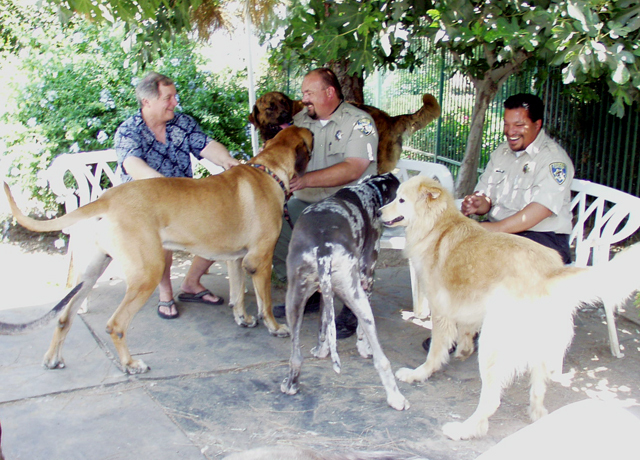 Meeting "The Herd" is quite an experience! 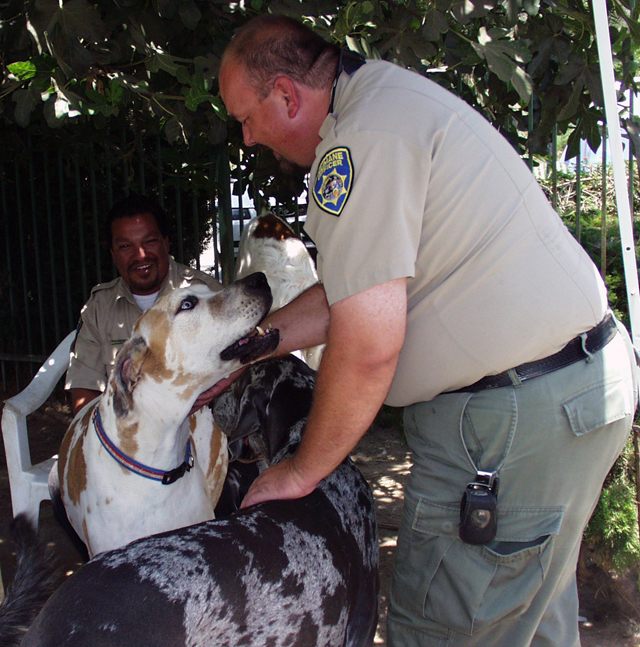 "Apollo" greets Richard while sitting on Paul's lap! 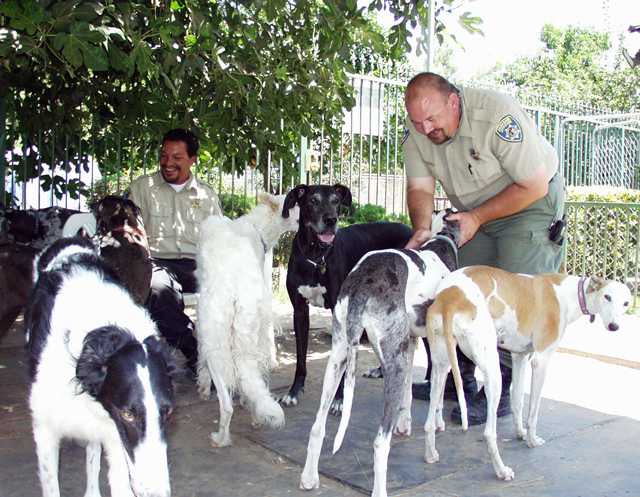 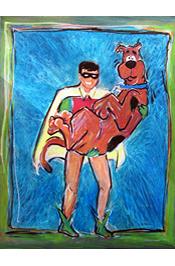 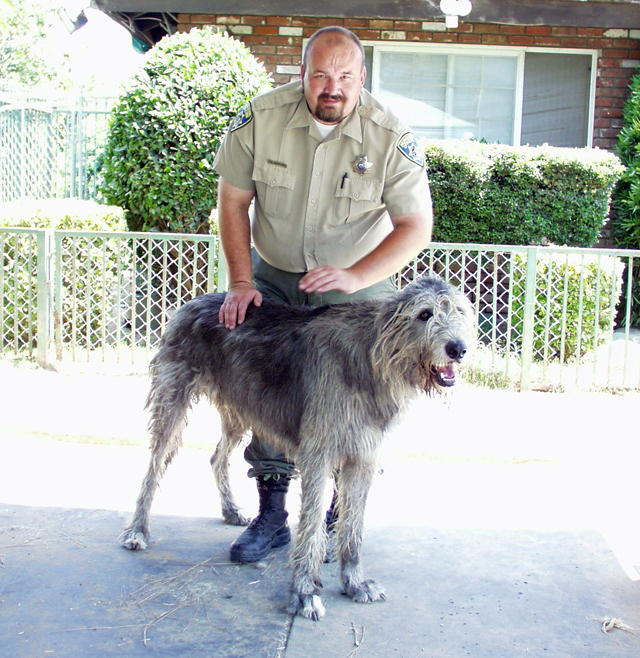 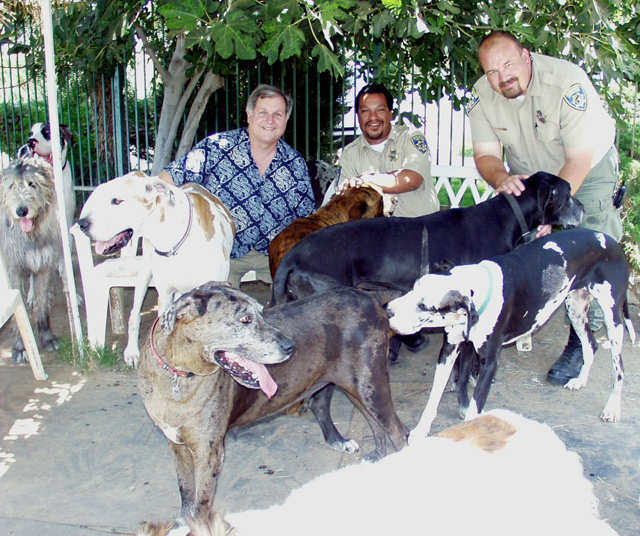 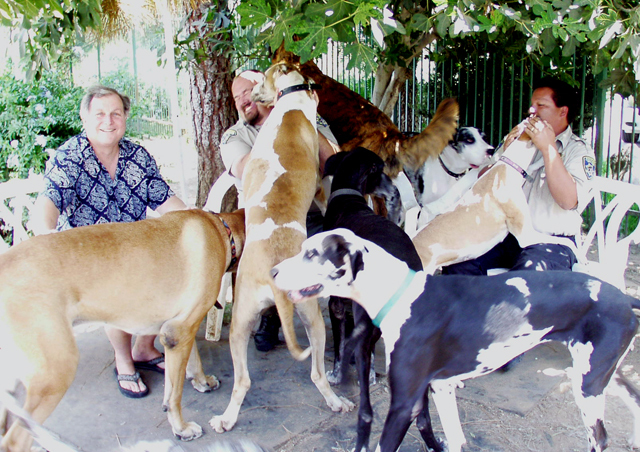 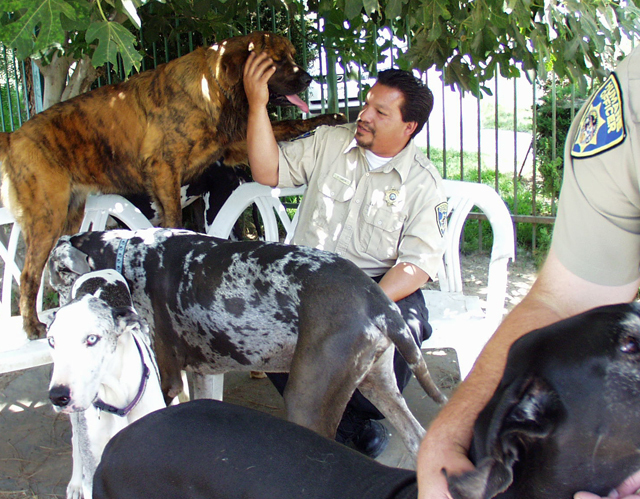 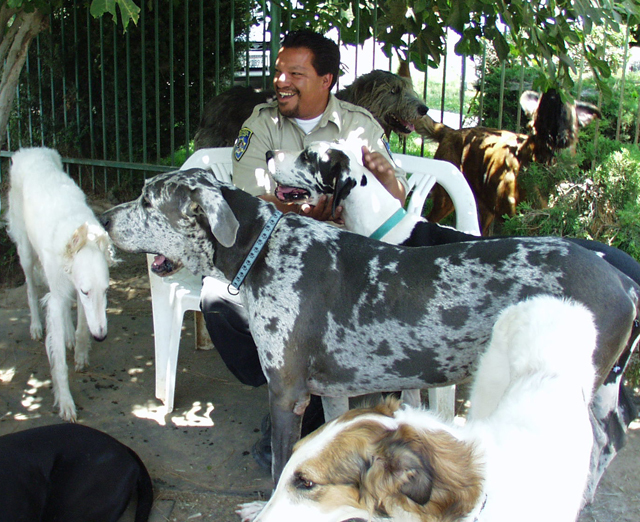 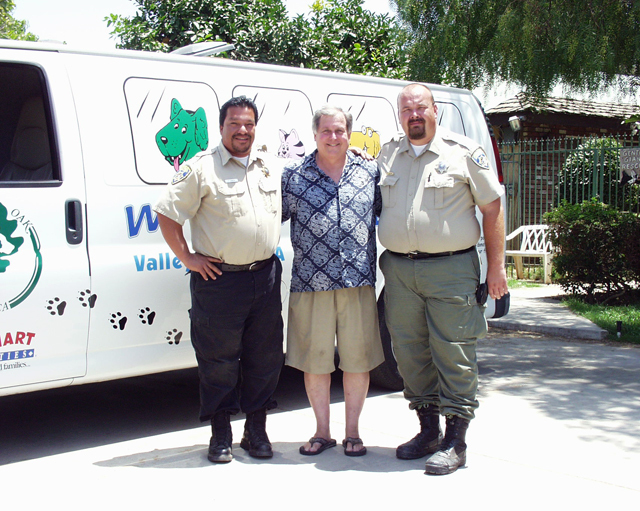 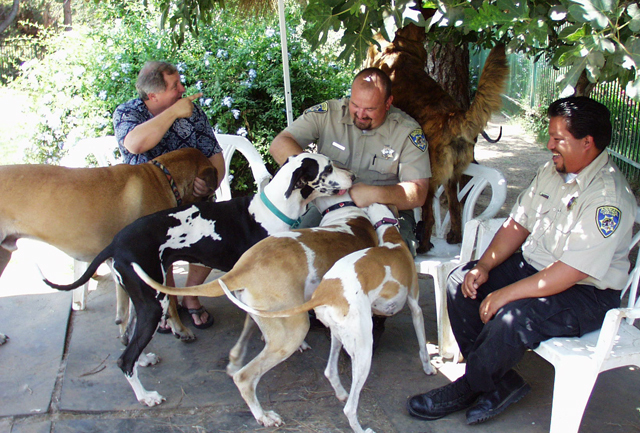 Richard pets our Irish Wolfhound "Tristan"
with us to save the lives of innocent, loving dogs!